TPz (Transportpanzer) Fuchs ("fox") is an armoured personnel carrier developed by Daimler-Benz and built by Thyssen-Henschel in 1979. 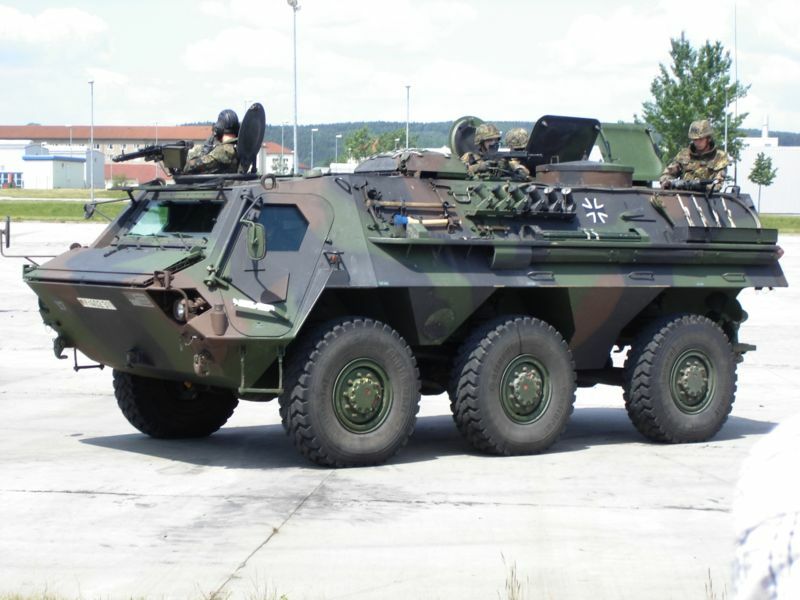 It was the second wheeled armoured vehicle to be fielded in the Bundeswehr. It is used for tasks including troop transport, engineer transport, bomb disposal, NBC (Nuclear, Biological and Chemical) reconnaissance and electronic warfare. In selecting models and retrofit kits, more than 90 combinations are possible; 32 have been produced. 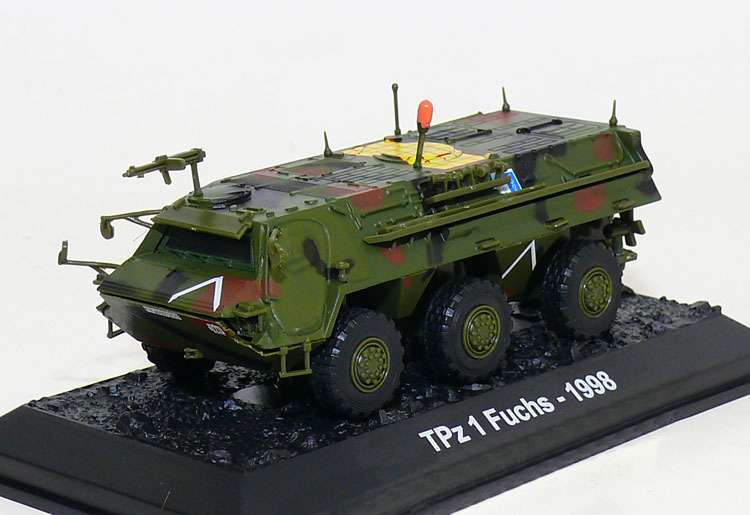 The TPz Fuchs is thus referred to as a "retrofit platform". The engine is a Mercedes-Benz Model OM 402A V-8 liquid-cooled 320 HP diesel. Its top speed is 105 km/h and the range is 800 km. It is 7.33 m long, 2.98 m wide and 2.37 m high. It weighs 18.3 tons with the capability to carry 6 tons in equipment. 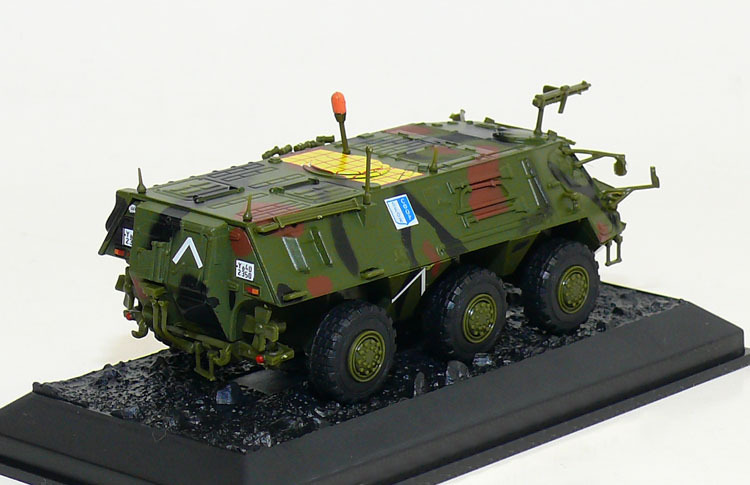 The 6x6 APC has high performance over many terrains, with low noise. Its rear-mounted propellers with 360° turning range enable it to take water obstacles at 10 km/h.